But no one can escape the mob these days! Not even Milo, who we’re casually told flunked out of that boring old civilian life. Well, I’m sure Epiphany won’t mind dating a low level flunky for the same organization that got her only son killed! Good luck to those crazy star-crossed kids. This was a tough one, guys. 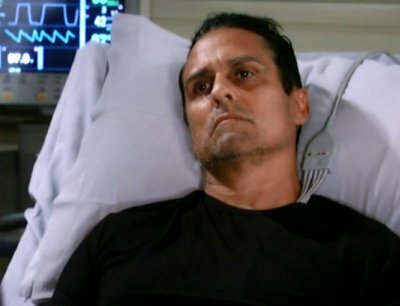 I mean, we had a week full of Michael saying in one breath how wrong it would have been for him to kill Sonny for shooting AJ, and in the next that they absolutely had to kill whoever shot Sonny. We had a week full of everything that came out of Elizabeth’s mouth. AVA: It isn’t for you to say. I’m her mother. CARLY: Just because you can perform a biological function doesn’t make you a mother.